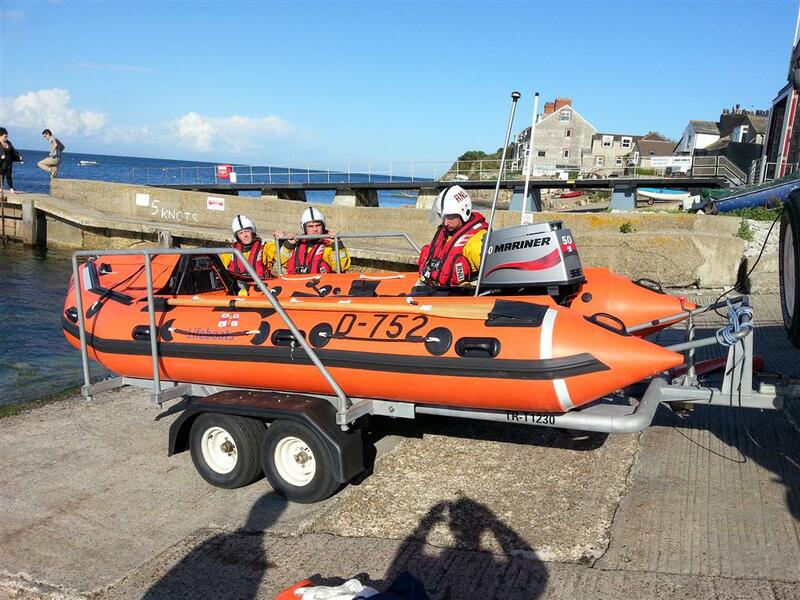 Swanage Lifeboat Station's annual open evening is at The Pines Hotel, Swanage on Tues 20th November at 1930. All welcome. There will also be a few awards presented too. It would be great if you could join us. 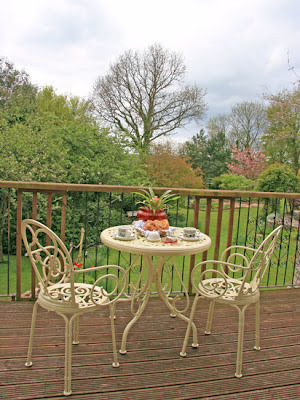 The evening usually lasts about 90 minutes and the bar is open afterwards! All aboard for a magical RNLI Swanage steam train experience. The RNLI are planning a fundraising event with a difference next month with a chance to relive the amazing age of steam. On Saturday 27 October it’ll be all aboard the train for a memorable steam-driven ride through the beautiful Purbeck Hills to Harman’s Cross and all to help raise funds for the charity that saves lives at sea. ‘The steam train will take its excited passengers to Harman’s Cross to join a special RNLI Family Fun Day that promises RNLI film shows, games, medal making, dressing up in lifeboat kit and a welly throwing competition. It’s all good family fun and for just £5 for a ticket it’s also a bargain day out. 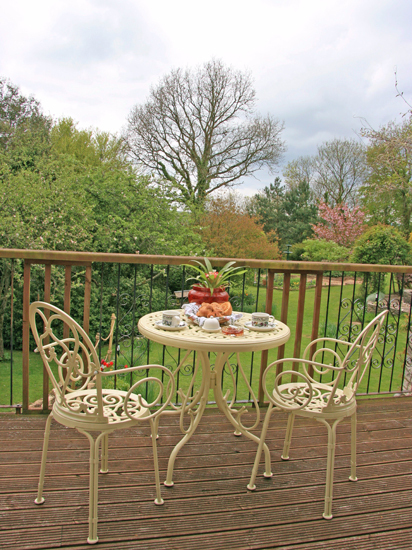 We hope people will be thrilled at the opportunity to ride on a steam train with a destination full of surprises. I would urge families to book early to avoid disappointment. Tickets, at £5 per person, are available from the Swanage RNLI shop or by emailing Selina Taylor on Selina_Taylor@rnli.org.uk The day begins at 9.45am and ends at 2pm. 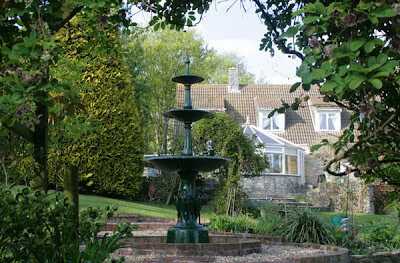 All proceeds will go to the work of the RNLI in the Dorset area. D-752 'Phyl & Jack' will take place at 11:00 on Saturday 15th September at Swanage Lifeboat Station. All are welcome to come along and join us. Sadly due to a lack of space the seating will be reserved for invited guests only. The service should last for a little under an hour and will finish with the lifeboat launching. This photo shows members of PISCES Sub-Aqua Club (BSAC No. 645) presenting a cheque for £300 to Peter Foster, Chairman of the Swanage Lifeboat Station Management Team on Sunday May 27th. 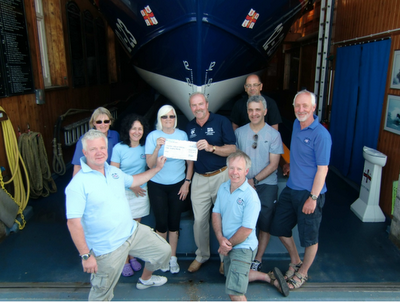 This donation was made from the funds raised by the club when they held a Grand Reunion Ball last November. The event was attended by over 120 people comprising past & present members and their families, as well as divers and friends from three other local BSAC clubs in the North London area. Helping to make this event such a great success was our VIP for the night, Tony Marshall (ex Vice-Chair of BSAC) who presented the raffle prizes and the annual club award. Thanks are also due to BSAC who kindly donated a prize for our raffles. A great night made even better by the fact that we were able to support the fantastic RNLI, particularly the Swanage Lifeboat Station! 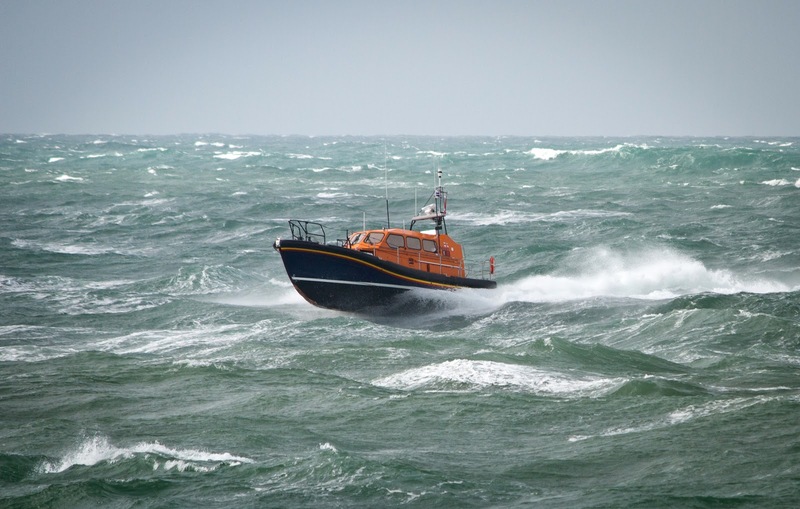 Swanage RNLI lifeboat station will be home to a new, state-of-the-art Shannon class all-weather lifeboat in 2015, the RNLI announced today. 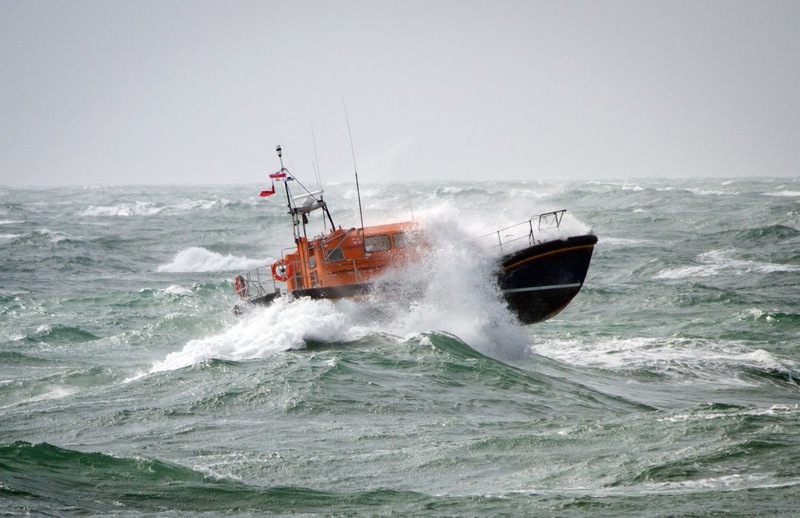 The Shannon, which has a top speed of 25 knots, will replace the station’s current 17-knot Mersey class lifeboat. The announcement coincides with the 20th anniversary of Swanage’s current lifeboat starting service. The Mersey class Robert Charles Brown was officially placed on service on 12 June 1992. 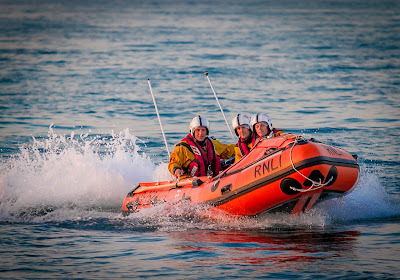 It has been designed in-house by RNLI naval architects who have harnessed cutting-edge technology to ensure the new lifeboat meets the demands of a 21st century rescue service and allows the charity’s volunteer crew to do their lifesaving work as safely as possible in all weather conditions. The new lifeboat features twin water jets instead of conventional propellers, allowing it to operate in shallow waters and be highly manoeuvrable – giving the crew greater control when alongside other craft and in confined waters. The water jets also reduce the risk of damage to the lifeboat during launch and recovery, or when intentionally beached. 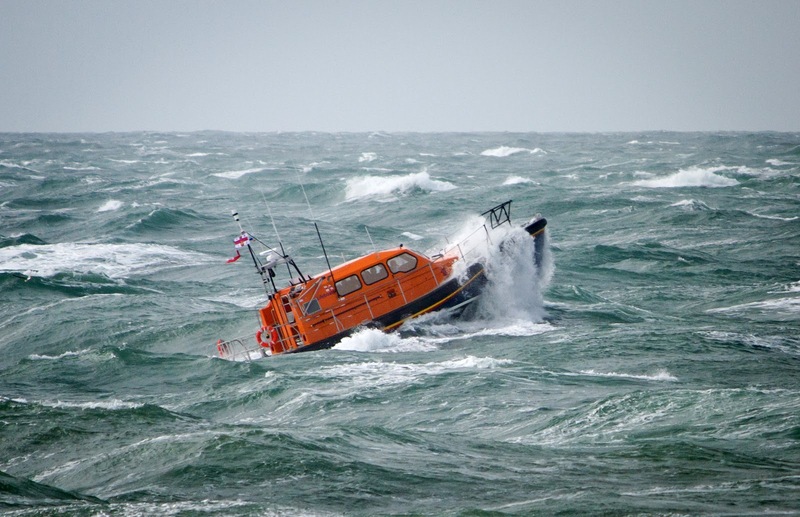 It will be the first RNLI all-weather lifeboat to run on water jets instead of propellers. The Shannon’s seats are designed to protect the crew members’ spines as much as possible from the forces of the sea in rough weather, so they can conduct their lifesaving work in a safer, more comfortable environment. 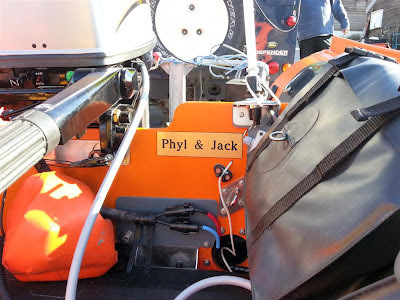 The Shannon also incorporates SIMS (System and Information Management System) which allows the crew to monitor the lifeboat from the safety of their seats, again reducing the likelihood of injury to the volunteer crew members during search and rescue operations. With a top speed of 25 knots, the Shannon is faster than the current Mersey class lifeboat based at Swanage, which is capable of 17 knots. Like all RNLI all-weather lifeboats, the Shannon is self-righting and it will return to an upright position in the event of a capsize during extreme weather or sea conditions. 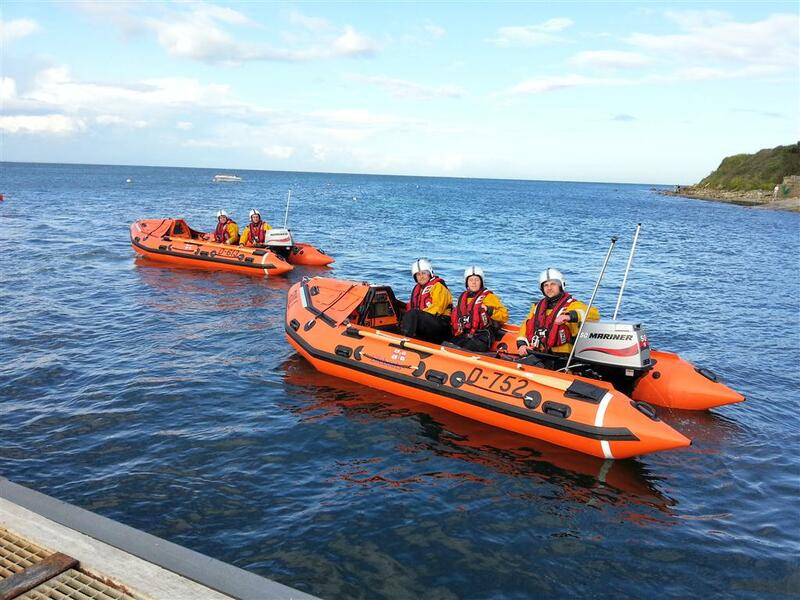 The new class of lifeboat is undergoing full sea trials this year, with the first operational Shannon class lifeboats going on station in 2013. We'd like to say a really big thank you to all the people who donated money, had their car washed or came along to the 'Soup & Sweet' event over the weekend. and the car wash raised a record breaking £970! Making a grand total of £1470. 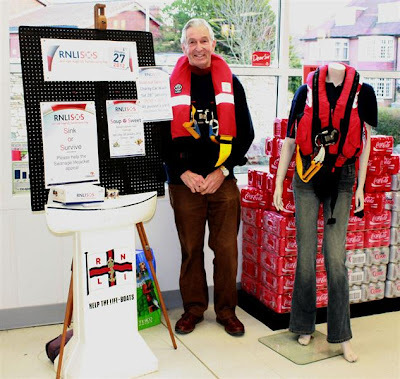 All the money that we raised this year will be going to the RNLI's Lifejacket appeal, there's still time to make a donation online if you weren't able to attend one of the events. Thanks to all the volunteers that gave their time and energy it was a great effort. We'll be holding two events on Sat 28 Jan.
All of the money raised by our SOS Day events this year will go to our Lifejacket Appeal. If you're not able to attend one of the events perhaps you'd consider making a donation online using this JustGiving link. In the first week of January the RNLI announced the names of the awardees that will be honoured at the annual presentation of awards later this year. Swanage volunteer, Captain Neil Hardy, has been recognised for his service to the Institution and is to be awarded the RNLI Gold Badge. The RNLI Gold Badge is awarded to volunteers to acknowledge significant contribution to the Institution. Neil is the Lifeboat Operations Manager, responsible for the overall running of the station, a role he began in 1989. 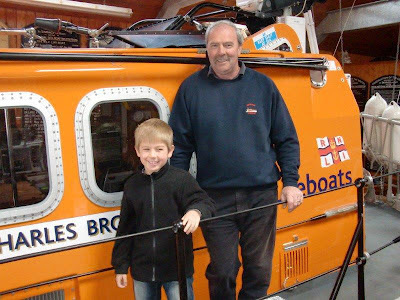 He comes from a family of RNLI volunteers with his uncle being a former Swanage Lifeboat Coxswain for many years. 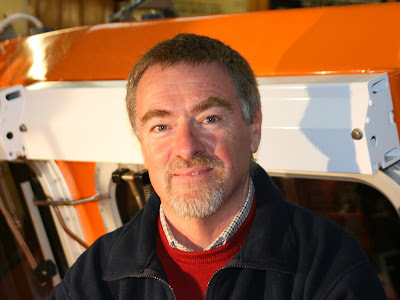 Neil began his maritime career in 1967 at Nautical College and it was a natural progression for him to get involved with the workings of his local lifeboat station in later years. 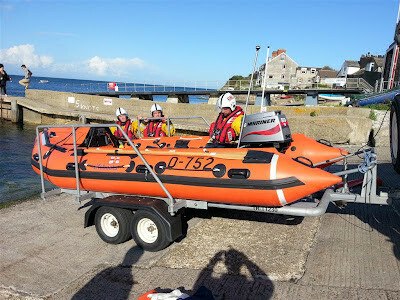 He was approached by a former Chairman of the Swanage Lifeboat branch to ask if he would consider getting involved to help re-kindle the level of interest at the station. This was a challenge that Neil took on and has held for over 23 years. 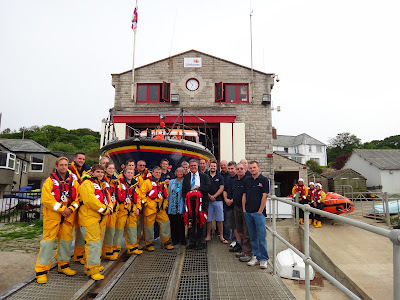 Despite having been involved with the RNLI for many years Neil was surprised to receive this special award saying, “I have enjoyed being a part of the Swanage RNLI, using my past experiences to assist this wonderful group of volunteers. There are very few organisations today that rely on the generosity of the public and dedicated volunteers, as opposed to government funding, to provide such a comprehensive service. This makes what the RNLI achieves truly remarkable and something I am proud to be associated with”. Neil will be attending the RNLI National awards at the Barbican in London to receive this honour on 17 May 2012. 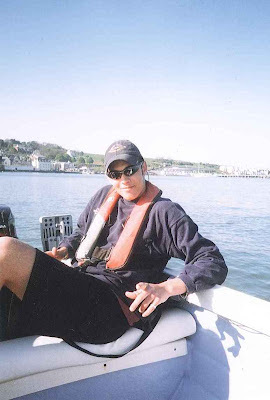 He will be joined by an array of volunteers from around the Country include some volunteer crew and lifeguards who will receive coveted gallantry awards from the Institution for their acts of bravery helping to save the lives of those in trouble on the sea. Happy New Year to all our supporters, followers and volunteers. To make it easier for those of you with smart phones to keep up to date with what's going on here in Swanage we've created an app for those of you with Android phones. Sadly the cost of getting the app on to iTunes is too high for us but we've created a special iPhone friendly webpage instead, it looks just like the app. 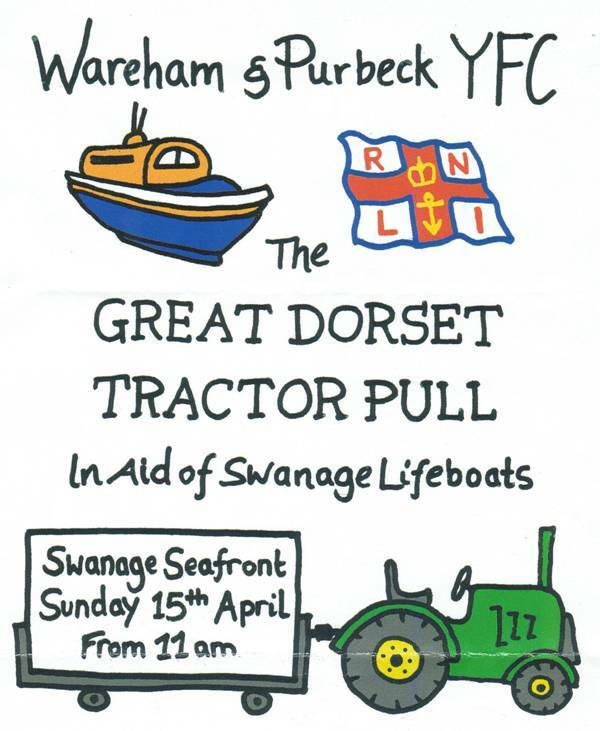 Android users need to search the market for 'Swanage Lifeboat' and install the app from there. Here's a preview of the home screen.